Successfully Added Smiley Face Clip Hidden Camera DVR (4GB) to your Shopping Cart. The Smiley Face Clip Hidden Camera looks innocently like the iconic smiley face button, but inside is actually a high quality camera that records both video/pictures to a micro SD card! Clip on your shirt, belt, bag or even some documents while at the same time obtaining covert surveillance video. The Smiley Face Clip Hidden Camera DVR is the perfect item to fill out your collection of cameras. It is great for trade shows, school, science fairs, real estate agents, or just demonstrating how hidden cameras work. The iconic smiley face pin and ease of use combined with a free 4GB micro SD card is sure to put a smile on your face as well. The Smiley Face Clip Hidden Camera DVR is capable of recording 640 x 480 video at 30FPS, taking 5MP picture snapshots, or just record audio. All it takes is the press of a button to change modes, and another to start working. Everything is recorded directly onto a micro SD card (free 4GB one included), which can connect to your computer or laptop for easy viewing. 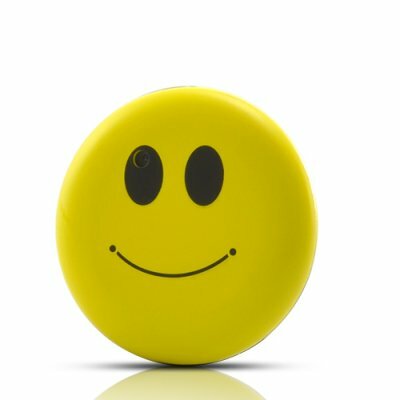 This unique Smiley Face Clip Hidden Camera DVR is the latest style in covert surveillance and is completel undetectable. Available in our warehouse right now, order today and we'll ship it out tomorrow. Brought to you by Chinavasion, the leader in Wholesale Electronics and Gadgets.